What's included: Guide, food, transportation, luggage transfers, accommodation. 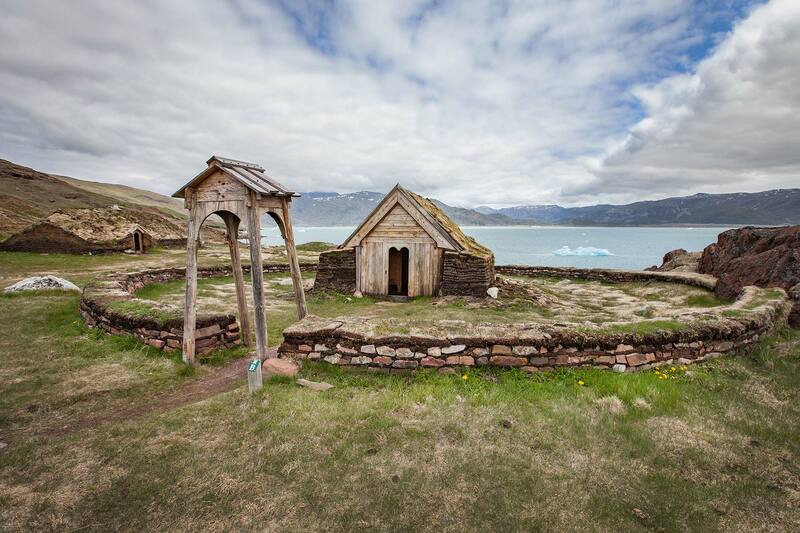 Embark on an 8-day trek in the rugged and breathtaking wilderness of South Greenland. 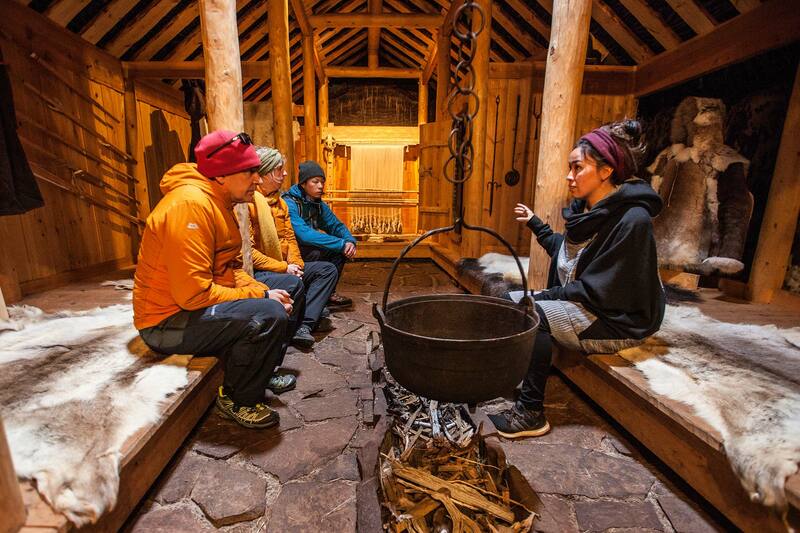 On foot, you will traverse the newly added UNESCO World Heritage Site in Kujataa, a sub-arctic farmland that was home to a Norse and Inuit settlement. There, you can view landmarks and ruins from medieval times and soak in the history of the ancient Nordic settlers. 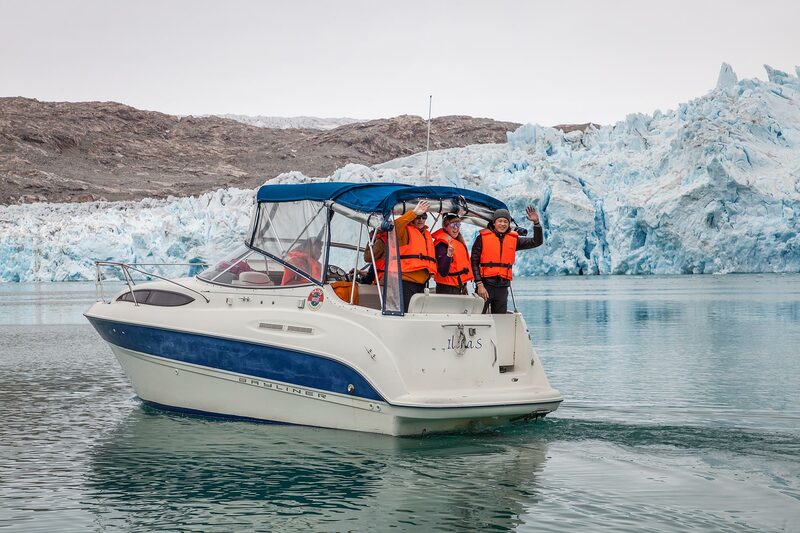 Journey to the roots of the world’s second largest glacier by boat to witness its magnificence, and fall in love with the deep blue icebergs floating all around you. 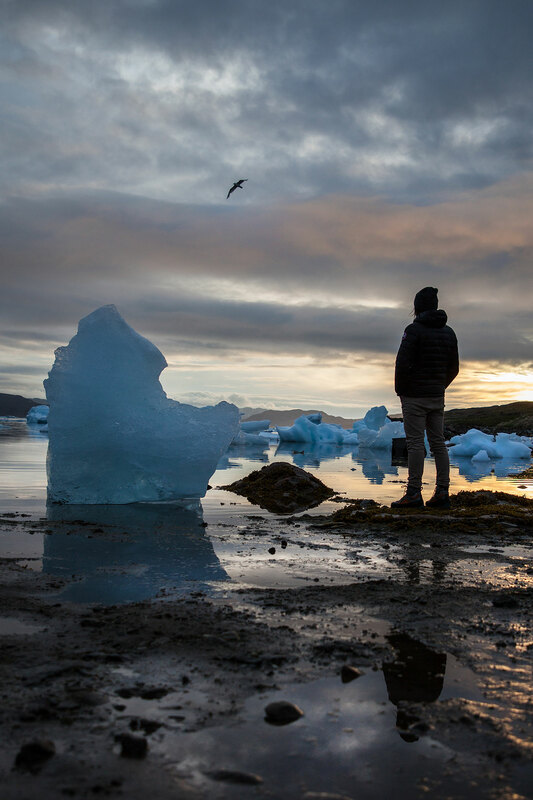 Listen to the popping ice and thunderous sounds of this actively calving glacier to hear the stories of this mysterious land and the ancestors that once thrived here. Included: Guide, breakfast (7), lunch (7), dinner (6). Transport: Boat transfers, luggage transport while trekking. Accommodation: Sleeping bag accommodation at a hostel/farms (7 nights). Please note: The tour starts and ends at the Reykjavik Airport. 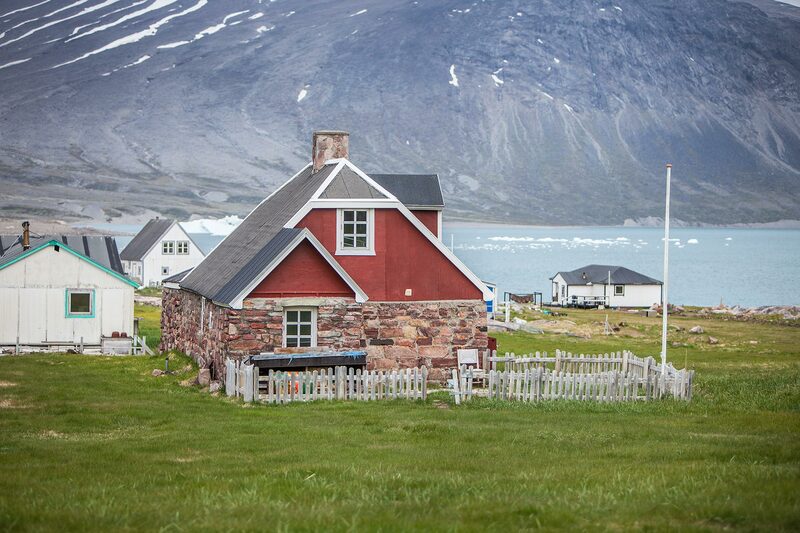 The itinerary can change due to accommodation availability in Greenland. 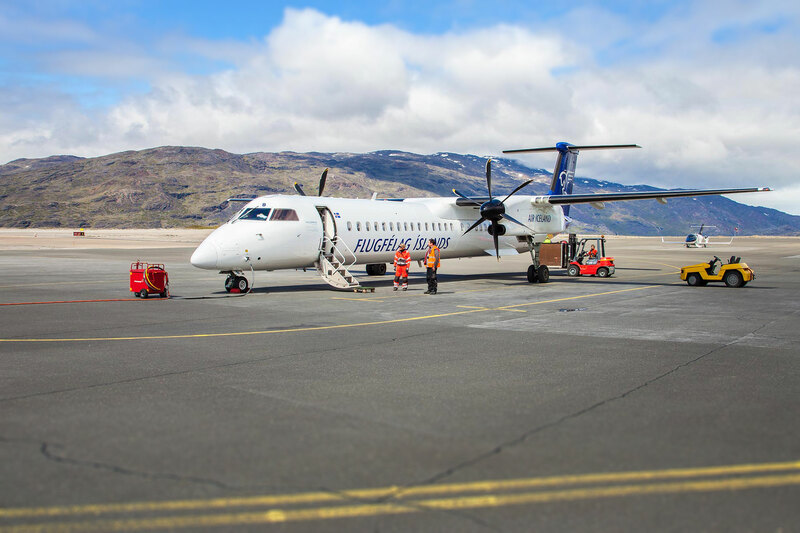 Arrival in Narsarsuaq in the late afternoon/early evening. 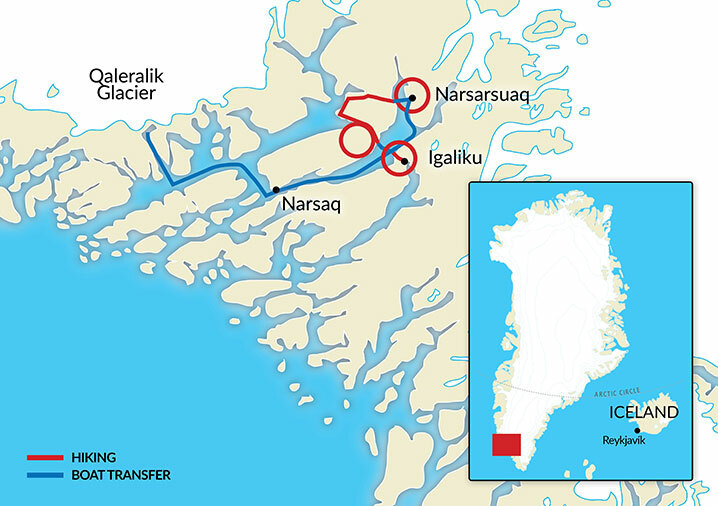 Narsarsuaq is located 100 km inside a fjord, just 6 km from the Greenland Ice Sheet. We check in at the hostel and have a nice dinner with the group. 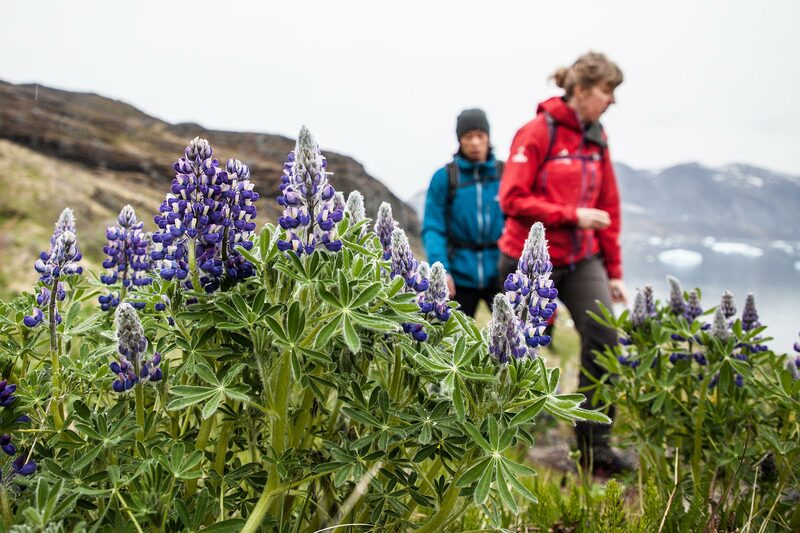 You have the rest of the evening spend as you like - maybe go for a small walk in the village or just enjoy the nice and quiet pace of Narsarsuaq at the hostel. Accommodation at a hostel. 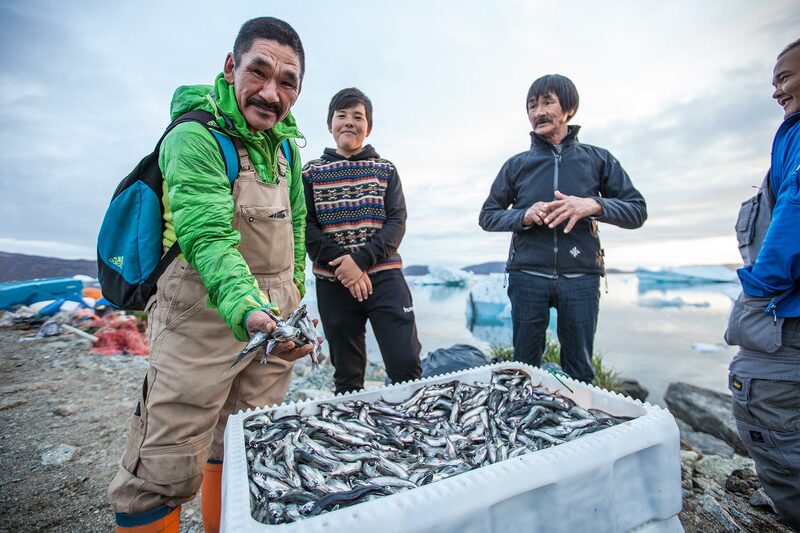 We start the day by shopping for our food for the next days in the local shop of Narsarsuaq before we leave with the boat for Igaliku. We have a short boat transfer over to Itilleq. 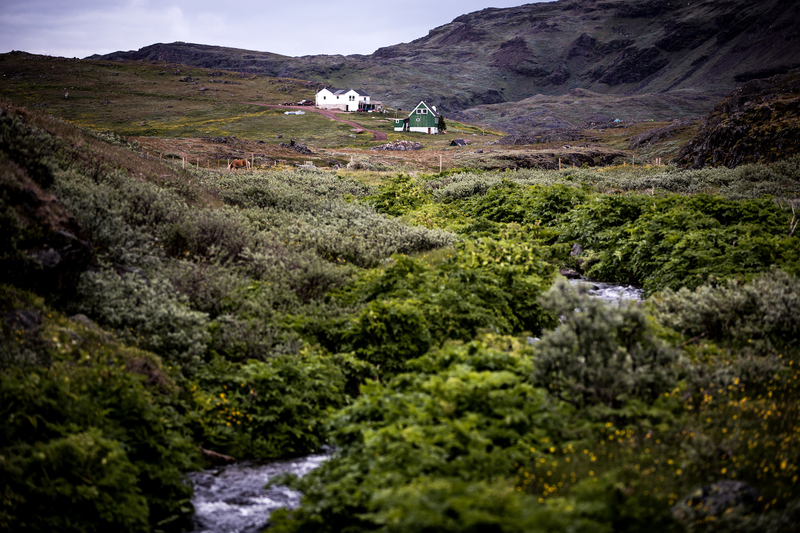 From there, we walk along the coast to the north and take a path that ends in Garðar or Igaliku, a renowned settlement in the medieval times. It is nicely situated in a green and lush area in the bottom of the Einarsfjord, with the majestic peak Illerfissalik towering across the fjord. The houses are built with red sandstone, which gives the village a unique appearance. We will spend the next night in a local hostel here in Igaliku. We walk along the road the same way we came yesterday to Itilleq where we will board the boat transfer to Qassiarsuk. It is a nice boat trip crossing the fjord. 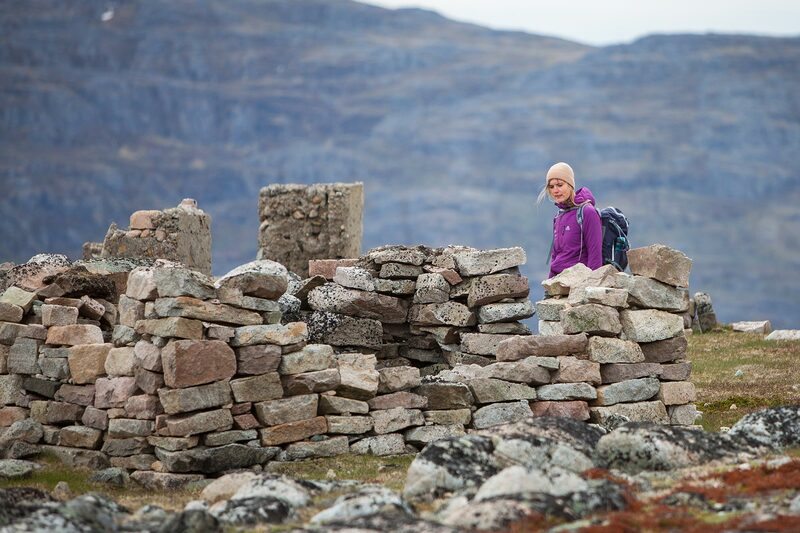 Qassiarsuk is the place where Erik the Red settled centuries ago. Back then, he named the place Brattahlíð, which means "the steep slope". 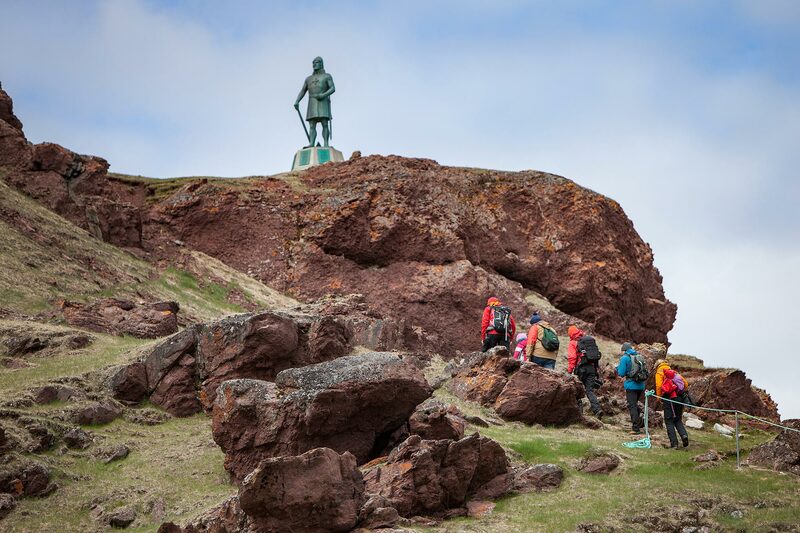 We will visit Eiríksstaðir, Erik’s homestead; the church of Thjodhildur, a reconstructed church dating back to the early settlement; and the statue of Leif Eriksson. 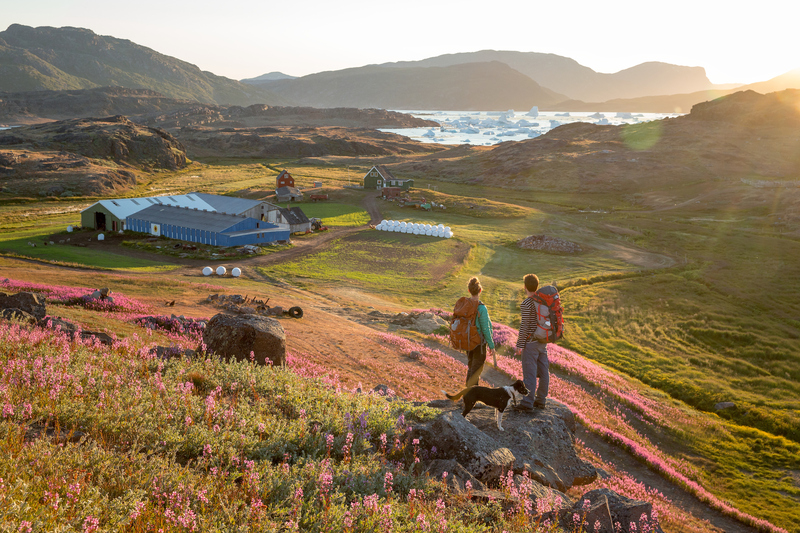 After having explored the most important of all the Norsemen landmarks in South Greenland, we start our hike towards a charming sheep farm in Tasiusaq. As we walk along small lakes we might see some jumping fish and numerous sheep of various colors grazing the hills. Once we come over the hill, a fantastic view of the Breiðafjörður fjord is waiting. The route takes us along ancient sheep trails, where we can get a glimpse of the road constructions of the first settlers. In the evening, we arrive at the sheep farm where we will stay for two nights. 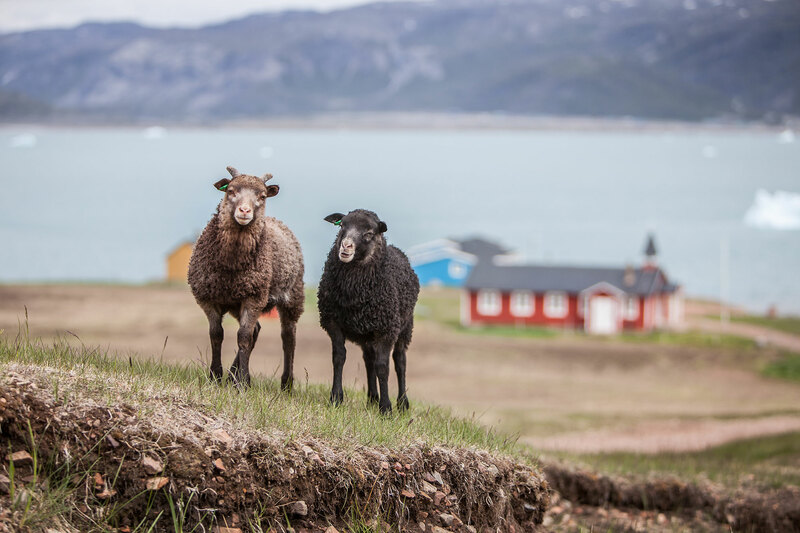 In the area of Tasiusaq, the grass fields reach down to the edge of the water and icebergs from the Ice Cap drift by in the fjord on their way towards the ocean. 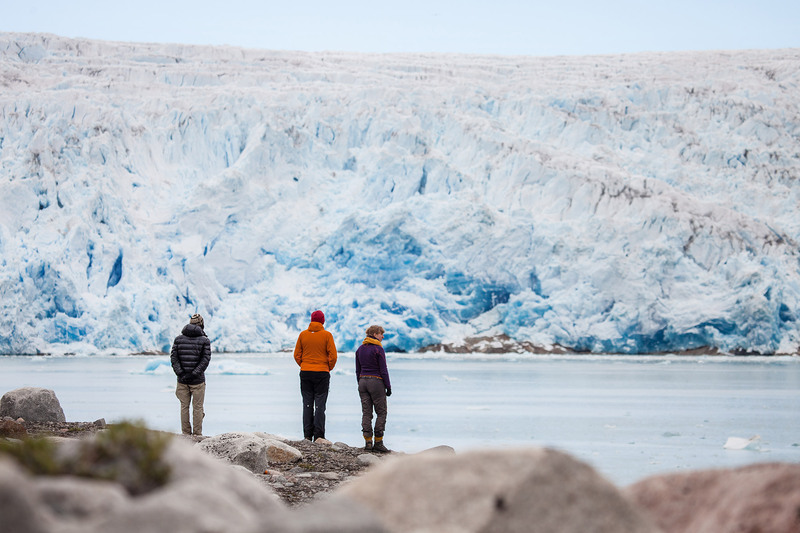 Today, we will go for a hike along the Tasiusaq Fjord to a viewpoint that is not a high peak but still has stunning views of glacier tongues in the distance and icebergs in front of us in the fjord. 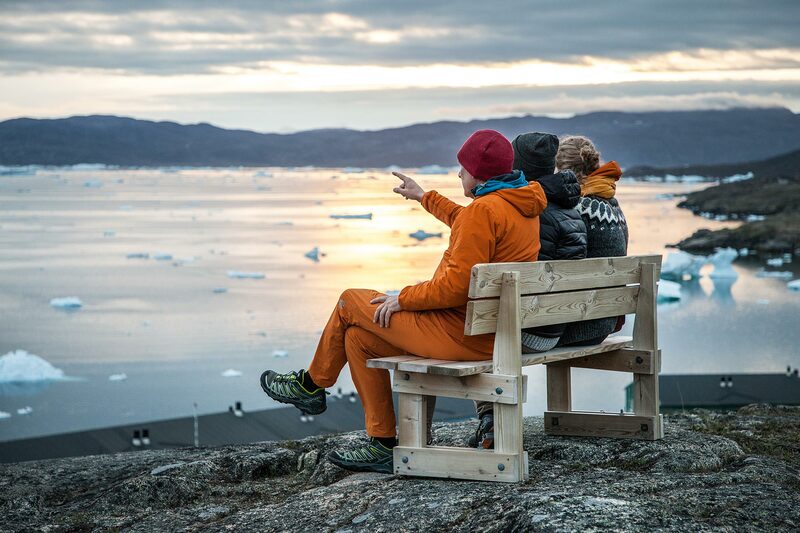 We enjoy the spectacular scenery before walking back along the fjord where huge icebergs might roll on the tidal waters or may even be stranded after washing up on the shore. We start today’s hike by passing the neighboring farm in Nunataaq after a few kilometers. 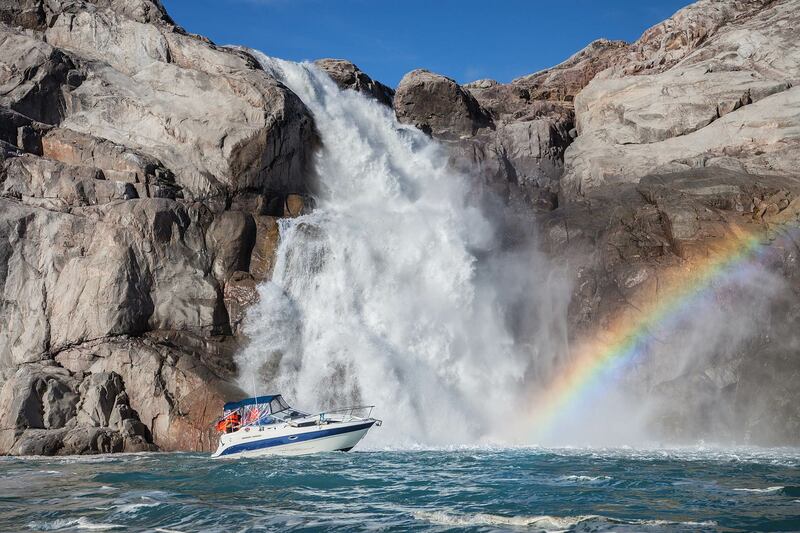 It is a stunning hike along the innermost part of a fjord. 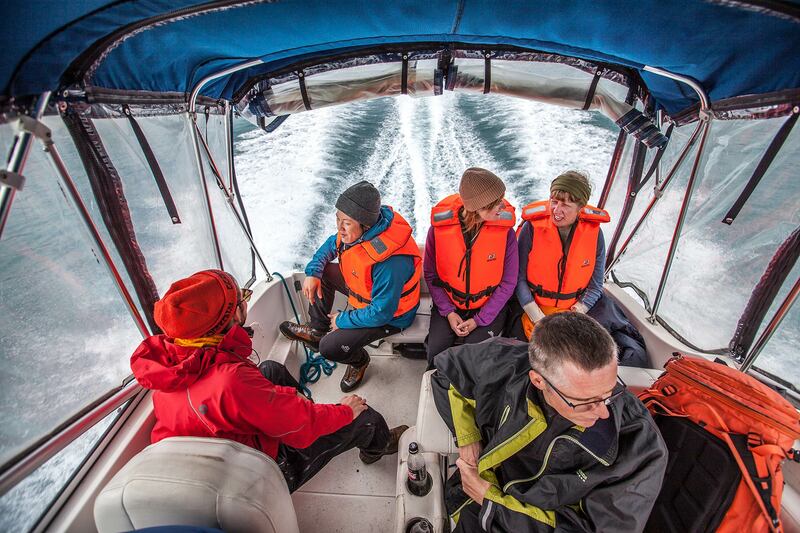 Then, we head back over to Eiríksfjörður fjord on the east coast of the peninsula. This is a day of easy walking along picturesque lakes on the heath, where the arctic vegetation is simply at its best. 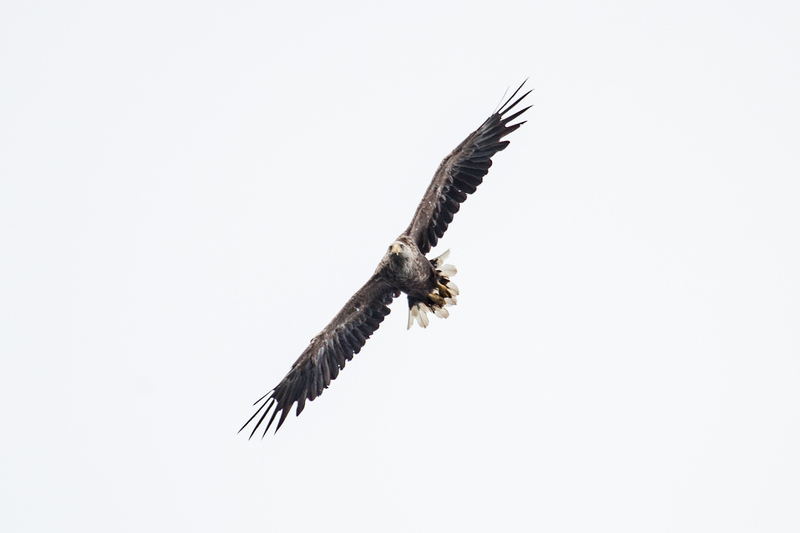 In this area, there is a good chance of seeing the white tailed eagle flying above. We arrive at the little hamlet of Sillisit where we stay two nights at a farm. Hiking along Mt. Naajat (770m) is our prime objective for the day! We will pass sheep and small lakes surrounded by cotton grass on the way. If we're lucky, we might even spot some wild rabbits. While walking along the mountain we can enjoy magnificent views of glaciers and mountains that surround us at every step. With numerous icebergs gracefully floating in the fjords, this is a sight that hikers from all over flock to this area to see! Our hike today starts early but it is the shortest route to Itilleq (about one hour). 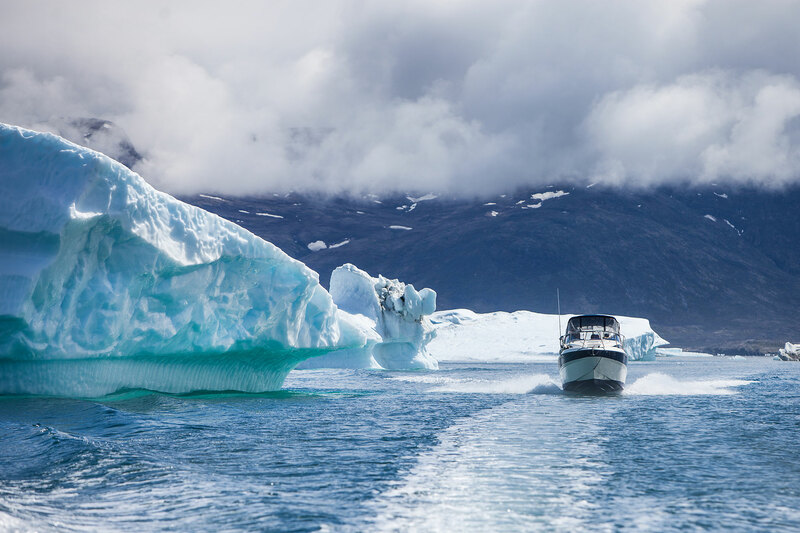 There, we board a boat to go to Qaleralik Icefjord where glacier calve blue icebergs into the ocean.We cruise along glaciers and in between icebergs in this fantastic natural paradise. We make a short stop in the town of Narsaq before heading to Narsarsuaq for our last night. 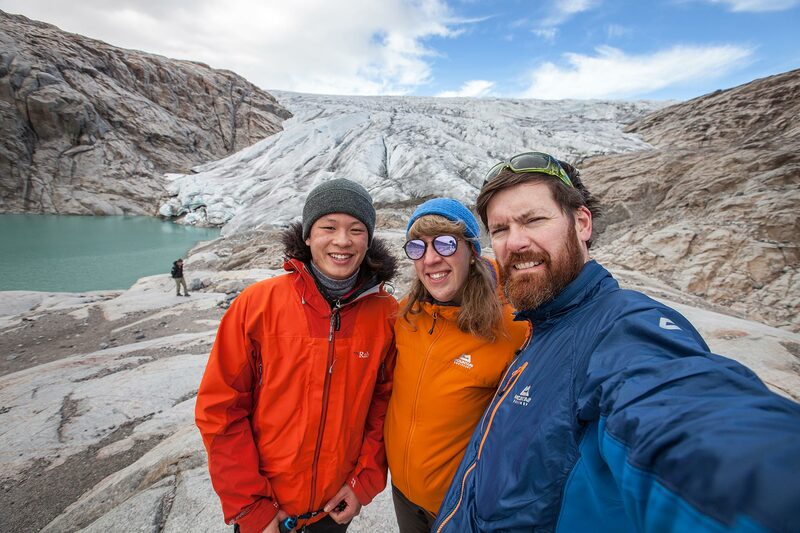 We pack our bags today, but before leaving Greenland we hike to the outlet glacier at the bottom of the valley. Here is a chance to get onto the Greenland Ice cap or as close to it as possible. First, we hike through the Flower valley before taking a steep 300 meters ascent up to a hill. There, we will get a great view over the glacier. In just half an hour we reach our destination and can put our hands on the biggest glacier in the world! We go to the airport in the late afternoon for our flight back to Reykjavík for a late evening arrival.